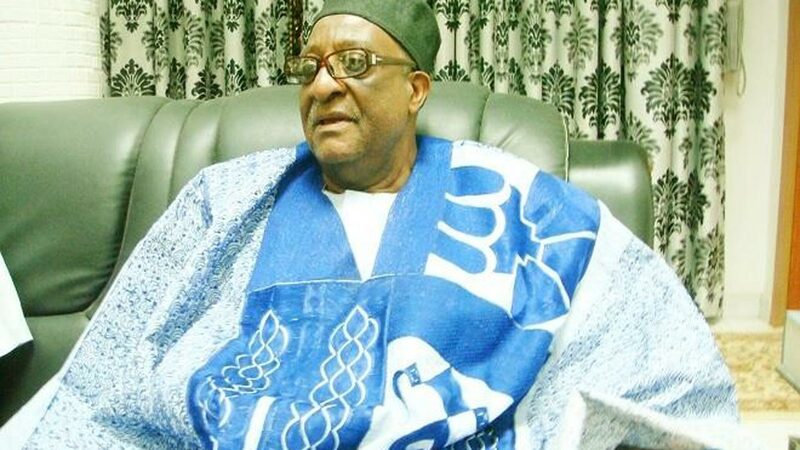 The decision to trim the list of aspirants was disclosed by the Chairman of the PDP Board of Trustees (BoT) Senator Walid Jibrin. The People’s Democratic Party (PDP) has set up a committee to prune down the number of its presidential aspirants, ahead of the 2019 poll. The party has also described the Wednesday purchase of the N45 million All Progressives Congress (APC) presidential nomination form for President Muhammadu Buhari as fraudulent. He disclosed this to newsmen after after an emergency meeting in Abuja, yesterday. Jibrin said the PDP BoT resolved that henceforth, no member should campaign for any of the party’s presidential hopeful. “If you are member of the BoT, you remain as BoT member and conscience of the party. They should not move about with any aspirant. If we are really the conscience of the party, we should not move about with aspirants. “That was what happened during the last national convention when we elected the national chairman. Some of us went and pitched camp with aspirants, taking them all over the place. “This time, we will not allow that to happen. Anyone of us who moves about with any aspirant should resign from the BoT. “We are the ones who will settle the complaints; if there are any. But, if we are involved, it will not be fair. So, we have told members not to campaign with the aspirants,” Jibrin stated. The BoT chairman added that at the moment, there are 13 presidential aspirants who have indicated interest to contest for the PDP ticket. He said there are efforts to prune down the number; ahead of the party’s primary and also, disclosed that a committee has been set up to interface with all the aspirants, with the view of getting some of them to withdraw from the contest. Meanwhile, the PDP claimed purchase of the presidential nomination form for President Muhammadu Buhari, by a youth group, the National Consolidation Ambassadors Network (NCAN) , to contest in next year’s presidential election, is a worn-out publicity stunt. The PDP averred that since the the president has not disowned the purchase of the form for him by the group, the electoral body should sanction him, within the next 24 hours, for a breach of the electoral law. “Buhari can no longer play the pro-poor gimmick which his followers have always presented to Nigerians. Meanwhile, former governor of Jigawa State, Sule Lamido, has said the choice of who will be the PDP presidential candidate in the 2019 general election is beyond the party. Lamido urged the party to pick a candidate who is acceptable to Nigerians and has the capacity to sack the APC administration, and noted that he has the capacity to win the presidency for the PDP; if given the ticket. Lamido stated this in Abuja, yesterday, after he submitted his presidential nomination form at the PDP national secretariat. Meanwhile, former Plateau State Governor and Senator representing Plateau North, Jonah David Jang, has purchased and submitted his nomination form to contest 2019 presidential election under the platform of the PDP. Jang in a statement signed by his Presidential Campaign Director, Plateau State, Professor Shedrack Best, said Jang’s conviction to joint the presidential race was to restore Nigeria.